Female Feticide, Drug Abuse, Farmer Suicides, the Sikh Genocide 1984. Let’s come together as one community, One Panth, to reflect on the epidemics in Punjab. 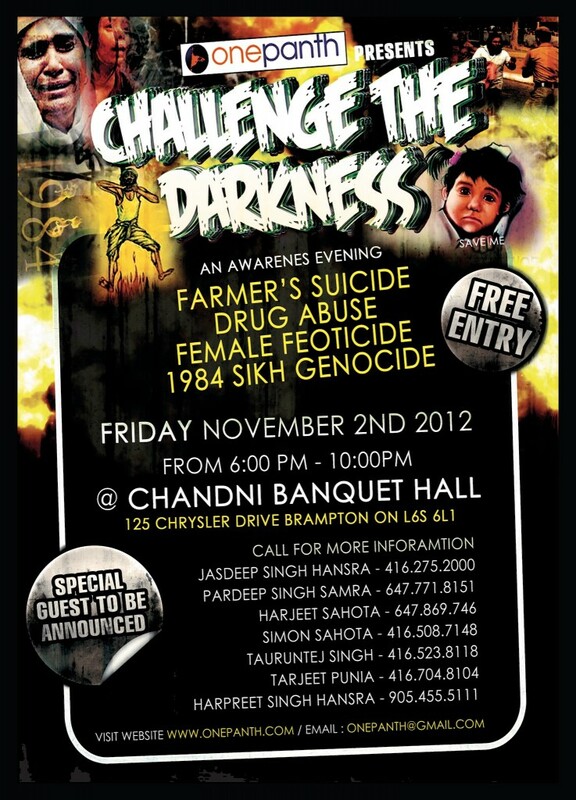 With so much that divides the communities in Punjab, join us on November 2nd, 2012 at Chandni Banquet Hall in Brampton for an evening of movies and performances by local artists.